Enhancing curb appeal can be a tricky business for homeowners. It’s very important to pay attention to it, though, as it’s the first thing guests and potential buyers see. Good landscaping increases overall home value. Plus, coming home to a beautiful front yard always feels great. With the help of artificial turf installation, you can enhance your curb appeal and at the same time increase enjoyment of your front yard. The striking similarity of today’s artificial turf with natural grass makes it a popular landscaping choice. It allows you to enjoy a manicured lawn year-round. The grass stays green even under exposure to pet urine or other outdoor elements. Also, since professional turf installers are there to help you prepare and clear the project location, remodeling landscapes becomes a lot easier. Whether it’s your front yard, backyard, side yard, or pool area you’d want to give a makeover, artificial turf installation can help give these areas a fresh new look. Installing artificial turf is beneficial as well when you’re looking to reduce water usage. You don’t have to worry about keeping your turf ‘alive’ because it stays looking its best with minimal upkeep. Everyone wants a beautiful landscape. It’s more than impressing guests and potential buyers. It’s also for increasing your enjoyment of your property. With artificial turf, you’d get to spend more time with your loved ones or for self-relaxation. You no longer have to mow and water the lawn. You no longer have to deal with unsightly brown, bald spots and even as you explore xeriscaping, you can still find ways to incorporate it in your design. You need not let go a green lawn altogether. The economic advantage of artificial turf makes it appealing for property owners. Artificial turf wouldn’t require hiring gardeners, unless you’re looking for someone to help you look after your entire garden too. 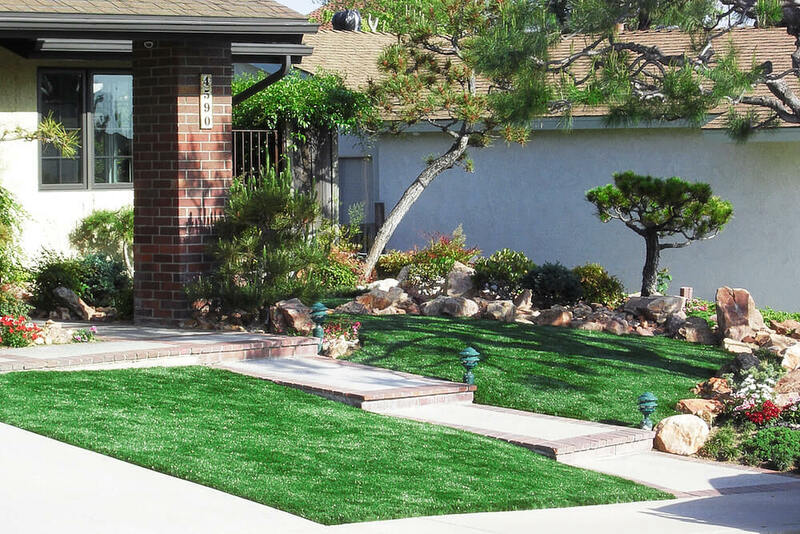 The return of investment with artificial turf installation, you’d enjoy with the long-term savings you gain from eliminating mowing, fertilizing, and watering from your lawn maintenance requirements.